Hooray--it’s Poetry Friday! 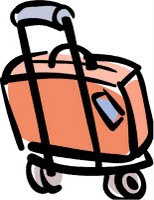 Today’s poem and lesson plan are at the end of this post. I’ve always felt that that if nothing else, I’m good at being a portal. A conduit between what someone wants and how they can get it. That's what has given me the to courage to teach Writing Picture Books for Children through UCLA Extension’s Writer’s Program for over a decade. This class is for newbie children’s book writers--not for those who have read a lot, taken classes, submitted stories, or joined organizations. 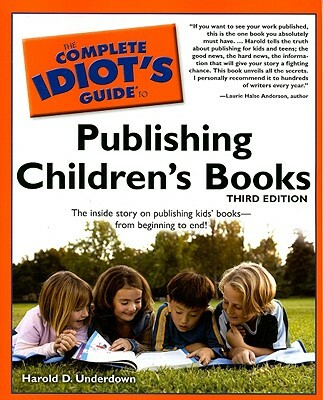 The Complete Idiot’s Guide to Publishing Children’s Books—3rd Edition by Harold Underdown. This is a comprehensive, down-to-earth guide—worth reading cover-to-cover and easy to dip into as a reference. It presents a broad overview of the field but also gives specifics. As with all Idiot Guides, it's easy to browse and packed with extras like "Vocabulary Lists," which explain terms in the children's publishing industry; "Class Rules," which detail warnings and cautions; "Can You Keep a Secret?" 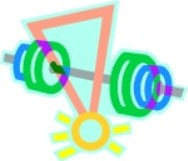 which include tips and resources to help a children's writer or illustrator present him or herself as a pro; and my favorite, "Playground Stories," which are anecdotes from and profiles of children's authors and publishers, giving an insiders view of the children's publishing world. 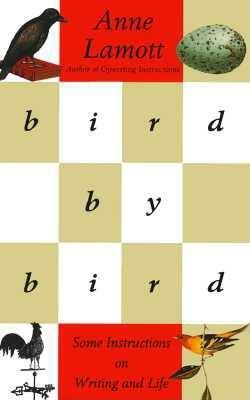 The other required book is Bird by Bird: Some Instructions on Writing and Life by Anne Lamott. Teaching Authors Jeanne Marie and Mary Ann have both talked about Bird by Bird...and I’m going to talk about again. Because yes, it’s that good. My favorite chapter is the one on jealousy, which changed my life. I read it at least once a year to quell my burning heart. Though I happily celebrate most friends' successes, some colleagues' successes cause me great agony and confusion. Several years ago, someone gently suggested that perhaps I shouldn't read the book review section right before I went to sleep. She was right. When I'd see certain names, I'd toss and turn all night, feeling like I'd lost a race I didn't even know I was in. I am a mean and tiny person with tight fists and a black heart. This is really embarrassing to admit. “But if you continue to write, you are probably going to have to deal with [jealousy], because some wonderful dazzling successes are going to happen for some of the most awful, angry undeserving writers you know—people who are, in other words, not you." "It can wreak just the tiniest bit of havoc with your self-esteem to find that you are hoping for small bad things to happen to this friend--for, say, her head to blow up." "You could see the amazing fortitude of people going through horror with grace...seeing that this is what you've got, this disease, or maybe even this jealousy. So you do as well as you can with it. And this ravaged body or wounded psyche...should...be cared for as softly and tenderly as possble." Lamott has shown me that yes, I have this tendency to be jealous, yes, I have this green spot on my heart…and though I try each year to make it smaller, I may have to live with that little green spot, be amused by that part of me and love myself anyway. I’m human. What a surprise. 1. Think of someone or something that fills you with envy (or another awful feeling). 2. Close your eyes. Take a deep breath. 3. Feel this feeling in your stomach, in your bloodstream, filling every bone in your body. 4. Or instead, think about what helps drive this emotion from your body. Feel the relief as it leaves through the top of your head, through your finger tips, through the bottoms of your feet. 5. Brainstorm at least five metaphors for jealousy or for what makes jealousy go away. Are you a leaf and is your jealousy a worm chewing on you? Is your jealousy a ring in the bathtub being scrubbed clean with Ajax cleanser? 6. Write a poem using one of your metaphors. 7. Write honestly—even if it embarrasses you. that we were all cans on a shelf. Cans of chili, kidney beans, split pea soup. I decided that I was a can of apricot halves. means there isn’t enough room for you,”she said. Children’s Book World in Los Angeles on Saturday, September 26th at 10:30 am. If you can’t come, call 310-559-2665 (310-559-book) and they’ll send you your very own autographed copy of New Year at the Pier! Lamott's idea that writing is like driving with the headlights on(you only can see ten feet ahead, but you can arrive at your destination) has gotten me through many a firt draft. What's that other thing she says about first drafts? Give them permission to be terrible! Thank you for posting honestly about jealousy. There is always room for one more - sometimes you just want it to be yours! Just love you for that generosity.